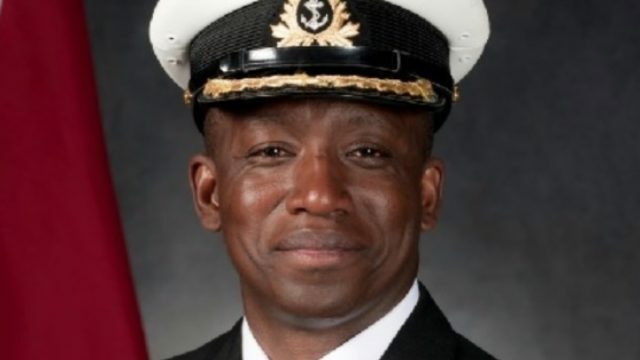 Had it not been for a high school friend telling him about the naval reserve’s summer youth employment program back in 1986, Lieutenant Commander Paul Smith may not have joined the navy. Now he is the first black person to attain the rank of Commander in the Royal Canadian Navy’s 106-year history. “I really just considered it a summer job for that one summer and when the program was over … I decided I really enjoyed it,” said Smith during a phone interview with the Canadian Broadcasting Corporation (CBC News). Born in Lionel Town, Jamaica, Smith moved to North York, Ontario, Canada with his parents at the age of six. Lt.-Cmdr. Paul Smith finished his general military training in the summer of 1987 and was then posted to HMCS Anticosti in 1993. Smith rose up the ranks over the years, studied sociology at Dalhousie University and eventually attained his current rank in 2010. Smith patrolled the Canadian Arctic as part of the search for the lost Franklin expedition ships HMS Erebus and Terror. “I was fortunate enough to have the prime minister on board,” said Smith. Smith is currently in Panama, where he is in command of HMCS Summerside as part of Operation CARIBBE, a multinational campaign against illicit trafficking of drugs, weapons and money from the Caribbean and Central America. 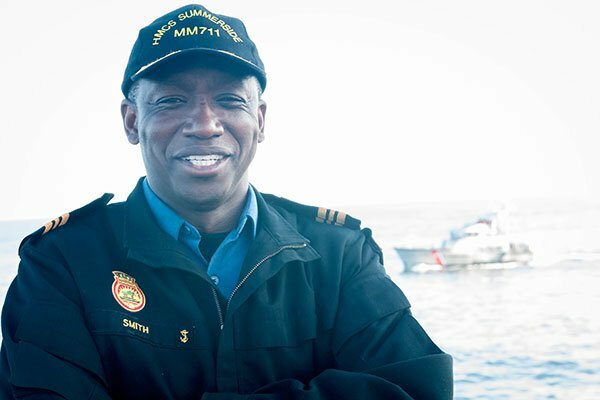 Smith’s status as the first black ship’s commander in the Royal Canadian Navy was confirmed more than a year ago through National Defence and the Canadian Forces Directorate of History and Heritage — a place that tracks and communicates military history. “I’ve been getting actually lots of nice emails from other black Canadian service members. I got a couple from the army, a few from the navy and some from the air force as well, either congratulatory notes or just people saying that it’s nice to see a person of colour in a command position,” said Smith. Smith’s wife Mary is from Halifax. The couple has two sons, Colin and Matthew. Smith says he will likely be back in Halifax by mid-April.